I love this selection and wish that I had more of this particular patterned fabric. 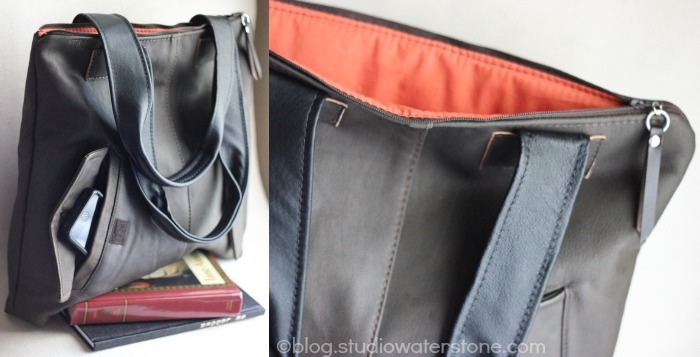 It's so ideal for year round use and goes wonderfully with recycled black leather. This top bag is a little more roomy while still incredibly lightweight. It would make a terrific travel/everyday tote. You can find more pics and information here. This style was one of two that I carried all spring and summer (similar to this one). The size is ideal for day to day - super comfy in the hand. Both totes shown here are in black, gray, creamy white with a little red suede bud for a speck of color. You can find more information and pics on this one here. Doesn't this leather look soft? 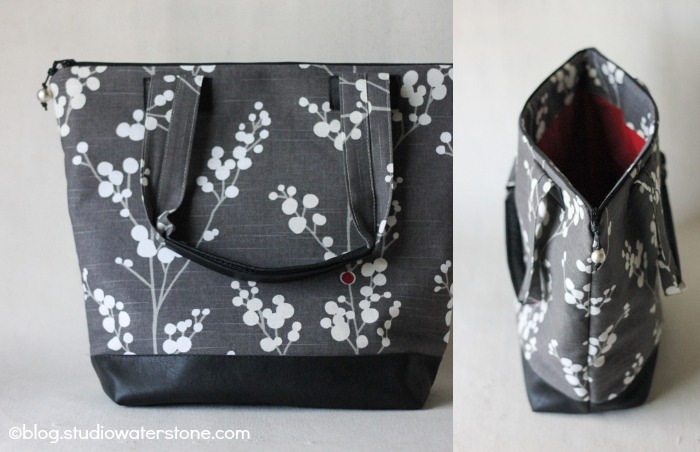 It's nicely weathered from use as a coat and perfectly morphs into a bomber bag tote. Lightweight and comfy. You can find this tote here. These are both so nice...but, my favorite is the first one..love that fabric and that unexpected red spot, just delicious! oh my gosh, I love every bag you create. The bottom one has to be my favorite. How cool would it be to have a purse/bag made out of an old coat/jacket that belonged to someone special like a grandmother or something, That would be so neat. Have a great day Lori. I love all of your new bags! They're so practical, versatile, and beautiful.